Starting out in the late 1850’s by offering a hoist to the French forces the Verlinde brand was born. It was during the early days of electricity that the Verlinde brand took off; developing the first French powered lifting devices. Today Verlinde manufacture a wide range of lifting devices and their technical expertise, highest quality components and reliability has lead to the realisation of the Stagemaker Hoist range. 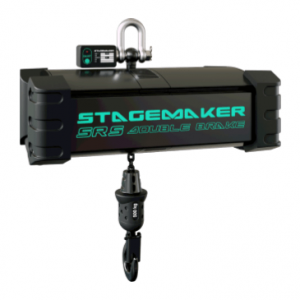 Purposely designed for the stage, theatre and show business industry the Stagemaker hoist is a huge part of the Verlinde brand. Possibly one of the most widely used electric hoists throughout the industry; The Verlinde Stagemaker is synonymous with safety and reliability, both of which are the top priority in all film-sets, stage, concert and theatre venues. Stringently tested to meet all the necessary and most specific regulations for use in the stage industry, the Verlinde Stagemaker is the one to choose.